I am particularly fond of this smaller sized guitar. It has a shorter 24″ scale length, making it easier for smaller hands to cover four frets. It is happy with lighter gauge strings, and the design idea was to provide a way for people who want to make the transition from nylon string instruments to steel strings. It has a compact body size, and has been popular with women in particular. Interestingly, the Parlour 6 stands up very well in volume and sound quality when compared to the jumbo Yolande 3 model, which itself has very good volume and projection. 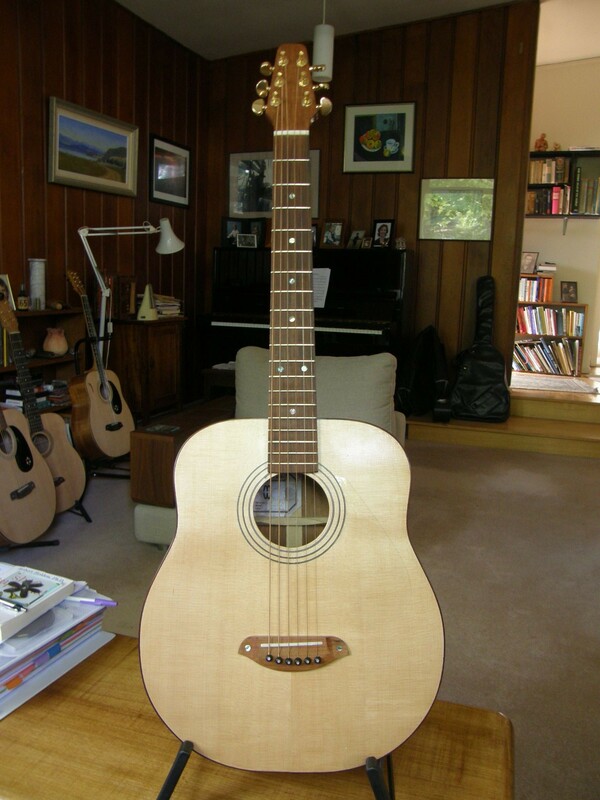 The Parlour 6 can be ordered with a 14 or 15 fret neck, and in left or right hand orientation.